This is a personal story about the power of family trajectories. I have three teenage sons: Cassius, 19, Cornelius, 17, and Carnegie, 13. My oldest just finished his freshman year as a business major and cornerback at the University of San Diego, a top academic school and a top-ranked NCAA Division I FCS football program. My middle son, a rising high school senior, is a four-star wide receiver and has football scholarship offers from Division I FBS programs including Stanford, Michigan, Notre Dame, Penn State, Nebraska and Alabama. In early July, he participated in the Nike Football The Opening Finals, high school football’s most elite showcase, as the only player from New England on the invitation-only roster. My youngest, an honor roll student who just completed seventh grade, has won an AAU Division I basketball national championship as a point guard and a Pop Warner football national championship as a running back-wideout. All three of these young men are not only wonderful people whom I admire but also the continuation of a remarkable journey. Their late great-grandfather, William Johnson, would have been so proud. He never learned to read or write and worked as a Pullman porter on the South Side of Chicago his entire career. The term unheard-of has become a staple motivational phrase in our family. 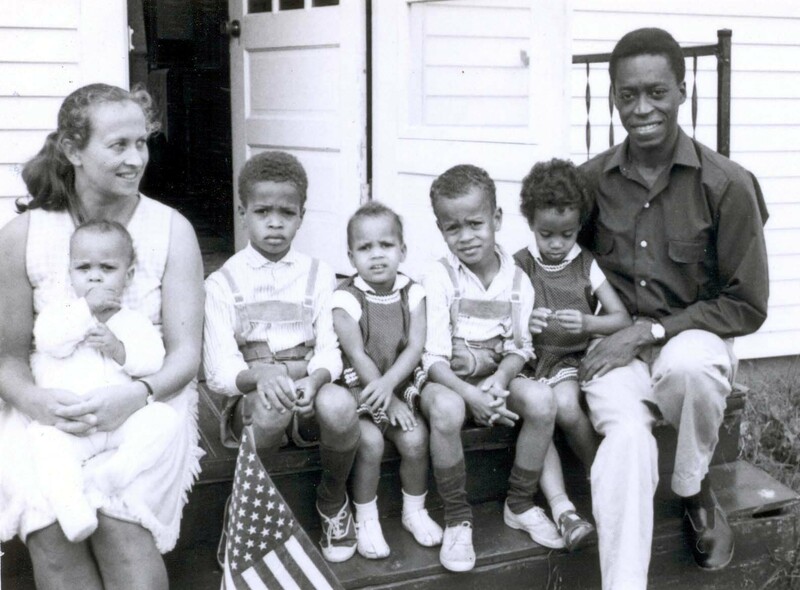 The Johnson family on first day of arrival to America (from left to right) — Marianne Kaufmann Johnson, Charlie, Lawrence, Christina, Claude, Claire, Charles Johnson — in Scituate, Massachusetts, in 1966. Mind you, back then many blacks were murdered simply for wanting to leave the South. My grandparents made it out, leaving everything behind as part of the Great Migration, never to return. Using his survival instincts, my granddad had changed our family’s trajectory. Together with my grandmother, a domestic worker, they had five children, and their focus was putting food on the table and a roof over their heads. Coming from this background, it was unheard-of that their son, my father, within one generation, would obtain a college degree, join the Army and earn a doctorate on the GI Bill. He was the only one of his siblings to attend college. In the Army, he learned Russian and served in Europe in an intelligence role during the Cold War. My father met my mother over there; they married and in turn had five kids, all born overseas. In 1966, he moved us to America and became a professor at Boston College. Using education, my dad left the conditions he faced on the South Side and never turned back. He had changed our family’s trajectory, again. With food and shelter assured, my father focused on education for each of us, choosing a neighborhood outside Boston that had excellent public schools. Behind the scenes, our German mother fought to protect us from racism. As a kid growing up there, I absolutely loved baseball. However, my parents didn’t know a thing about team sports. One time, when I was about 10 years old, Mom was shopping for groceries in a Star Market, back when they still sold sporting goods. I found a baseball bat I really loved and was carrying it around the store hoping she would buy it for me. Instead, when we got to the checkout, she said, “What’s that? Go put it back.” I was crushed; my major league baseball career ended before it began. 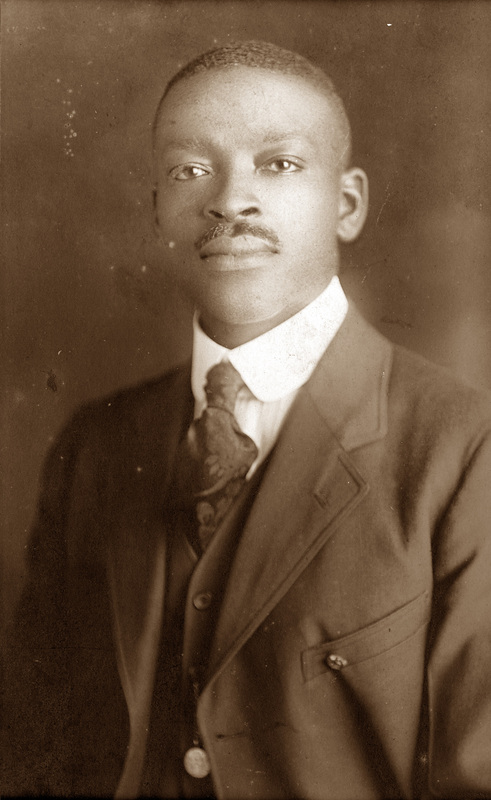 William Lucius Johnson, circa 1930s. Still, my parents passed on some vital ingredients. It turns out that my father sprinted to DuSable High School every day as a youngster to avoid getting beaten up since he lived in a neighboring district. Dad ran so much that he made DuSable’s varsity cross-country team! That inspired me to run track in high school, and at one point I was the seventh-fastest indoor 40-yard sprinter in Massachusetts. My speed got me a spot on our high school varsity football team as a late-blooming wide receiver, though not much playing time. Meanwhile, my mother was fit, lean and statuesque. Though never an athlete, she knew about classical dance, so when my youngest sister became interested in ballet at a young age, Mom saw something in her. My parents devoted years of their modest resources and time to support my sister’s passion. Through her own hard work and dedication, she became an internationally renowned ballerina, performing with numerous famous companies, including 13 years with the Dance Theater of Harlem. My parents’ embrace of specialized training worked, and I took note. To my grandfather, it would have been unheard-of that all five of my father’s children earned college degrees. These were as varied as our personalities: master’s in administration, master’s in mechanical engineering, master’s in public relations, master’s of fine arts in dance and bachelor’s degree in design. Each adds to our family trajectory in its own right. Fast-forward, I got married. Love at first sight. It turns out that my wife was somewhat of a tomboy as a youngster, athletic and fast. However, in inner-city Detroit before Title IX, most of her girlfriends were more interested in fashion, music and makeup than in going out for the track team. She was resourceful though, leaving the Motor City for college with a one-way bus ticket and $200 and returning as a physician. Meanwhile, that unfulfilled sporty spirit and competitive drive never left her. We moved to an affluent community in Connecticut that has exceptional schools and plenty of resources. Then the kids came, three sons. With food, shelter, education and college no longer a question, they had the previously unheard-of opportunity to freely pursue their dreams. Like my grandfather and my father, I didn’t have to set goals for my kids; the goal was to help them succeed. One by one, I started asking myself, what if this little guy is a future athlete? Right away, I came up with mini-exercises such as running their tiny legs in place while changing their diapers. I swear this made them faster. They were crushing Field Day events by kindergarten and first grade, so we signed them up for sports. 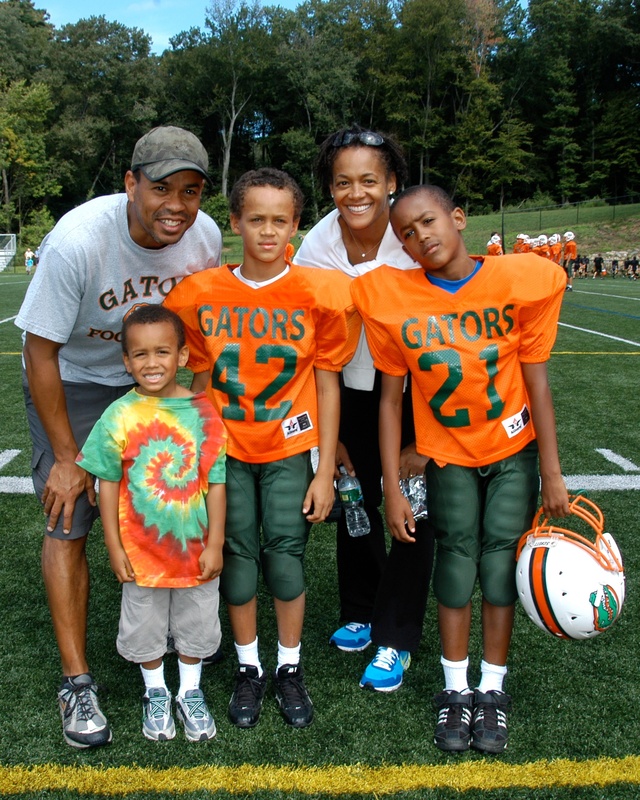 The Johnsons in 2009 with the Gators of the Greenwich Youth Football League, (from left to right) Claude Johnson (coach), Carnegie, Cassius, Cassandra Tribble and Cornelius. Then I took my sons to a football game at Gillette Stadium, where the New England Patriots defeated the Cleveland Browns 34-17. It was Oct. 7, 2007, and the boys were 8, 6, and 3 years old; they fell in love with the sport. My youngest also had previously become hooked on basketball; I had been taking him to a nearby court on our way to preschool since he was 2 years old. By then, I realized we would do everything possible to enable our kids as athletes, not out of necessity, nor with goals in mind, but rather from awareness of my role in our family trajectory. It was my turn to carry the baton. Though I worked in corporate America, I began customizing my career to spend time at home, with them. That’s when I dove into researching, preserving and teaching the pre-NBA history of African-Americans in basketball, an effort that today has become a nonprofit, The Black Fives Foundation. My wife was the major income earner in our household, while I provided most of the time and attentiveness for our sons. As far as sports, this meant countless hours of playing catch, finding fields and courts, shootarounds, running routes, event registrations, skills training and offseason conditioning. I even coached each of them on their youth teams for a few early years. This also meant countless miles of air and car travel to workouts, camps, clinics, combines, practices, tournaments and games across the country. Recently, this has morphed into an abundant number of unofficial college visits covering many thousands of miles. Then there were the mental aspects of sports and life, such as setting up routines, making checklists, organizing schedules and monitoring (and, in some cases, censoring) nutrition, as well as teaching growth mindsets, the concept of stillness and grit. Success has its own unique price to pay: namely, some attempts at denial of talent or petty jealousies, rather than just basic acknowledgement. Along those lines, I believed that local options for basketball weren’t appropriate, instead taking our youngest son straight to Harlem, New York, for AAU hoops, starting at age 6. This meant driving to practices after school for an hour each way. 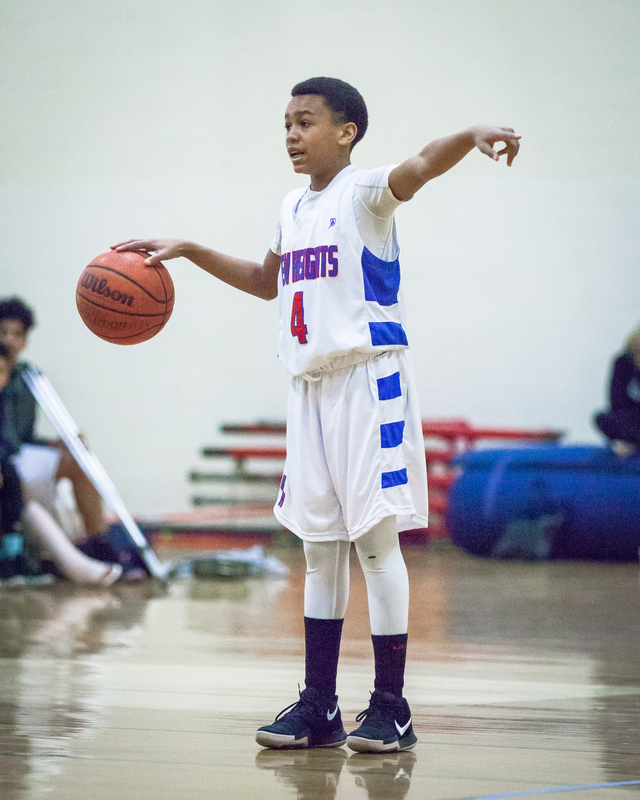 Carnegie Johnson, point guard with New Heights (New York) AAU U12 basketball team, in 2018. The boys played football endlessly in the side yard, which I would clear off on snow days with a snow blower, just like the Patriots. We had night games, using car headlights to illuminate our “home field.” We made up fun indoor football games too, such as Nineteen And Oh, where you have to stand in one spot and catch 19 straight randomly thrown passes without a drop, to win the Super Bowl. There was always a ball bouncing in our home, and more than one fragile object was destroyed. Speaking of breakage, there were many bumps and bruises (and worse) along the way, resulting in numerous trips to physical therapy (or worse). It is a blessing that we have access to outstanding local health care. Division I scholarships never occurred to me, and I didn’t set out to create designer babies. Being a caregiver for kids is much more like being a gardener than a carpenter, who tries shaping and molding a child to turn out a certain way, psychologist Alison Gopnik explains in her recent book, The Gardener and the Carpenter. Instead, she says, the best outcomes come from not worrying about outcomes at all. Our family and extended family are like a supportive village, helping our kids strive for excellence purely for the joy of watching their hard work blossom. Their success is our success. Parents, aunts, uncles, cousins and grandparents … we are all on board to lend our own unique perspectives. That is a blessing. For example, one time no one was available to take my second oldest to a Penn State versus Nebraska football game to which he’d been invited by the Penn State coaching staff. So my sister took an early morning flight from Washington, D.C., to LaGuardia, rented a car, picked him up in Connecticut, along with my youngest, and drove them straight to State College, Pennsylvania, in time for the noon kickoff. It was cold and rainy, and my sister was shivering. My son bought her a poncho, and afterward he told her, “Yeah, you really took one for the team.” This was just one of many extraordinary efforts they’ve acknowledged over the years. Some people say I sacrificed my corporate career. This is true; I could have earned far more income had I opted to stay in any one of the great corporations where I’ve worked. I also could have had more vacations, spent more time with friends and family, accumulated more “things” and made more time for myself. Even though I drank the “dedicated dad” Kool-Aid long ago and never looked back, I had self-esteem issues around being “just” a stay-at-home dad and always hid this fact publicly, even from my friends and neighbors, until now. However, none of what I gave up, nor what my grandfather and father left behind, was a sacrifice when reflecting on our family trajectory, because if you change any of it, you change all of it. Now I get texts, follows, direct messages and Instagram messages from famous NCAA football coaches. We chat by phone about this or that. It’s unheard-of. Many parents and youth sports programs aim for the outcomes we’ve experienced so far. Statistics prove that such dreams rarely if ever come true, but that doesn’t mean you shouldn’t try. It will take honesty and humility with yourself and with your children. It will take recognition and gratefulness for the many visible and invisible blessings you’ve received along the way. It will take some modern-day costs and commitments, to say the least. Is what it takes to get to this snapshot worth it? That depends. Start by looking at your family trajectory. Realize that every family trajectory has to start somewhere. Why not with you? Why not make history now?